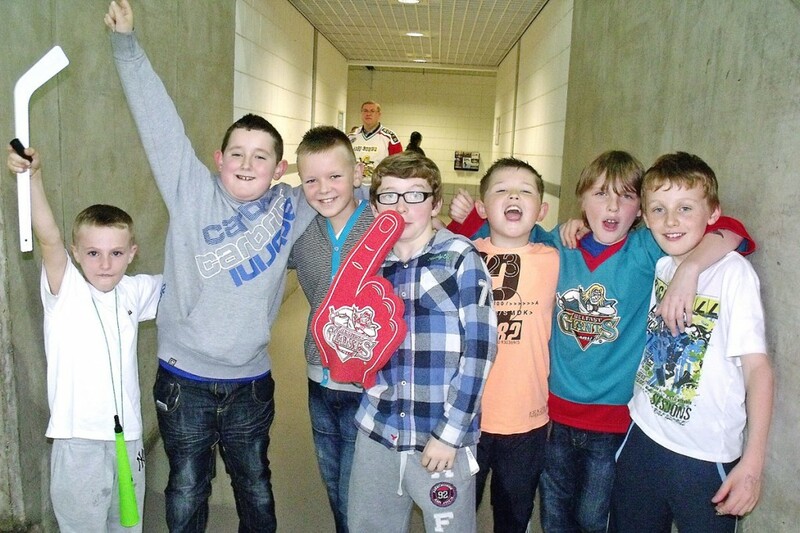 PUPILS from St Oliver Plunkett Primary School on the Glen Road have been treated to a Belfast Giants game after collecting 600 mobile phones for a worthy cause.The pupils took part in the Phones4Change appeal, a major mobile phone recycling initiative rolled out across the North to help teachers equip their classrooms with state-of-the-art technology. St Oliver Plunkett started the appeal at Easter 2011 and by the end of September past had successfully collected 600 mobile phones, earning the school an interactive whiteboard, a laptop and a trip to the Belfast Giants ice hockey match against Coventry Blaze in the Odyssey Arena. The Phones4Change appeal will help the charity the Comber Foundation to support vulnerable and disadvantaged people in Romania and Eastern Europe. St Oliver Plunkett Principal, Mr Ciaran Headley, said taking part in the appeal was a “fun and simple way of providing our school with some much-needed state-of-the-art resources for the classroom”. “The children particularly enjoyed getting a ‘homework’ pass for bringing in a phone for the collection,” he said. The Belfast Giants, the North’s only professional ice hockey team, also endorse the Phones4Change appeal. Giants Manager, Todd Kelman, said: “We are delighted to have the pupils of St Oliver Plunkett Primary School here at the game with us tonight. The Giants congratulate the staff and pupils on their highly successful campaign.